The 2019 Tele Summit is Available NOW! 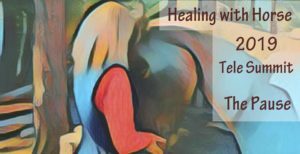 Experience the empowerment and inspiration these 16 healers & leaders have to offer in 13 audio sessions! Like what your see? Just click on the yellow "Add To Cart" button to the right to get the full audio downloadable set of 13 audio sessions from 16 Speakers, as well as accompanying Handouts, Supplemental Videos, and other Special Offers! click the cart button below. When you purchase your set, you will be sent to a Thank You page. Please DO NOT CLOSE THIS PAGE! Your link to your Downloads is on this page. Click the green button (see the image). You will also receive a "Thank You" email which will connect you to the landing page. Make sure to bookmark the site and keep the email as ways to return to your downloadable sessions and handouts. 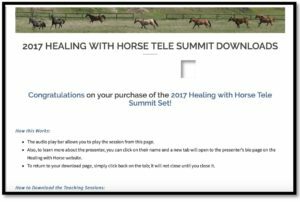 New Reduced Prices for the 2017 or '16 Tele Summit Sets Now! This 5th Anniversary Tele Summit is massive! With 20 speakers and top leaders in the field, this set is a game changer for your practice. The theme of this set is Equine Sentience. 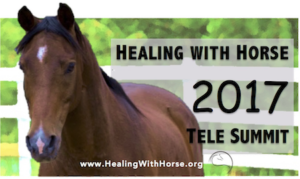 Listen and learn from leaders such as Linda Kohanov of Eponaquest, Lynn Thomas of EAGALA, and Koelle Simpson of Equus Coaching, as well as innovators who have honed their practice, helping horses help humans all over the globe. Learn from a total of 22 speakers from the U.S. and Canada, Australia, and Europe in a total of 20 sessions. Like what you hear? Just click on the green "Add To Cart" button to the right to get the full downloadable set with handouts! You can get the 2016 Tele Summit Set right now! For the list of presenters and topics and an audio teaser from each talk, click the image below. Like what your see and hear? Just click on the orange "Add To Cart" button to the right to get the full downloadable set with handouts!